The perfectly round profile ensures a smooth glide beneath your hands during switchbacks. 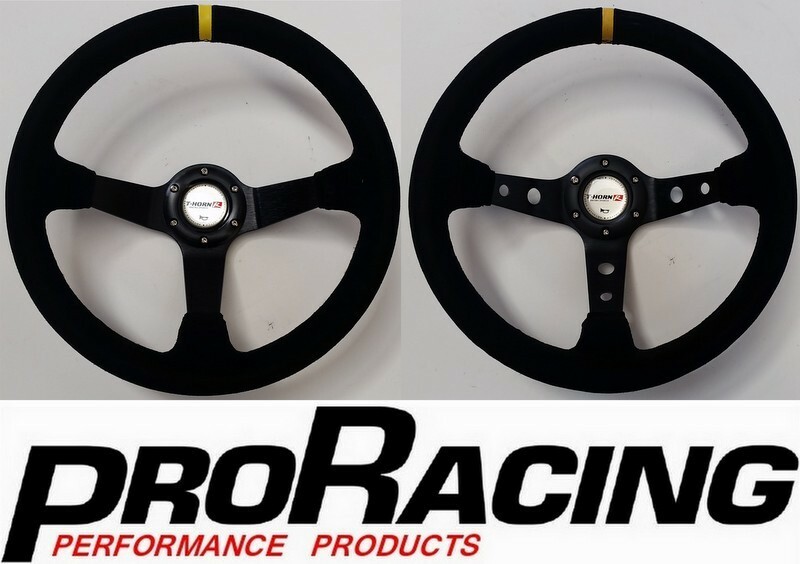 The deep dish and 340mm diameter positions the wheel optimally for the quick steering adjustments required for motorsport while the generous round grip maintains comfort and the yellow position marker provides a quick reference guide. - 6 stud bolt pattern fits most aftermarket boss kits. - Steering wheel comes with horn button.